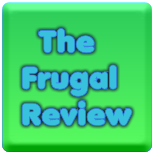 FRUGAL REVIEW: How much laundry detergent do you really need to use? How much laundry detergent do you really need to use? You do not need to fill the liquid detergent cup to the top to get your clothes clean. Use the marks inside the cup to measure you laundry detergent. Adding more than you need will not get your clothes any cleaner and oversudsing may damage a front-loader.